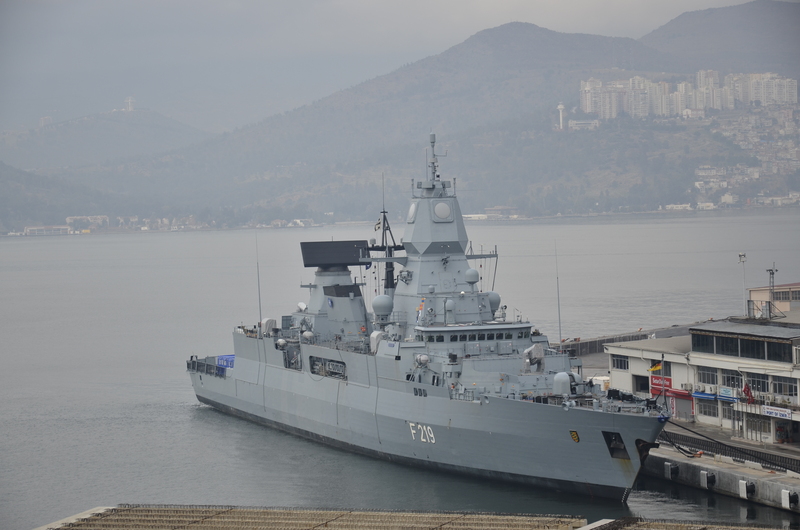 FGS Sachsen in Izmir. Photo: Oktay Cömert. Used with permission. 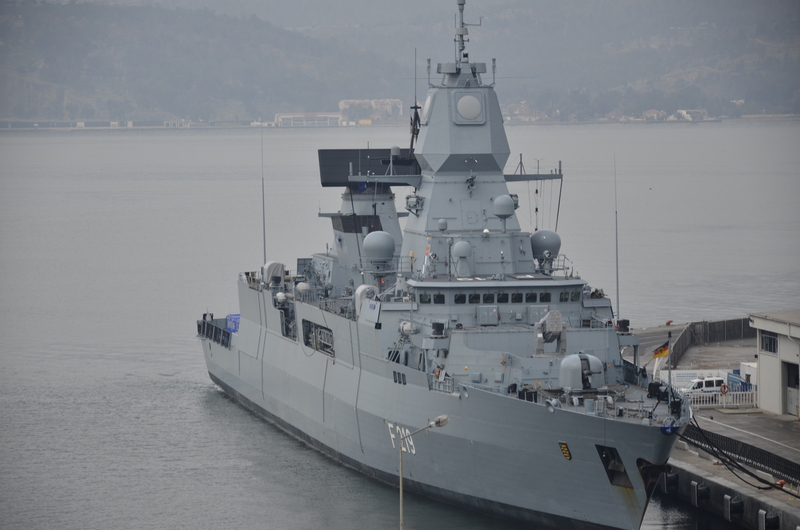 The flagship of Standing NATO Maritime Group 2 (SNMG-2) FGS Sachsen is in Izmir for a liberty call. The German Navy took over the lead of SNMG-2 in 22. 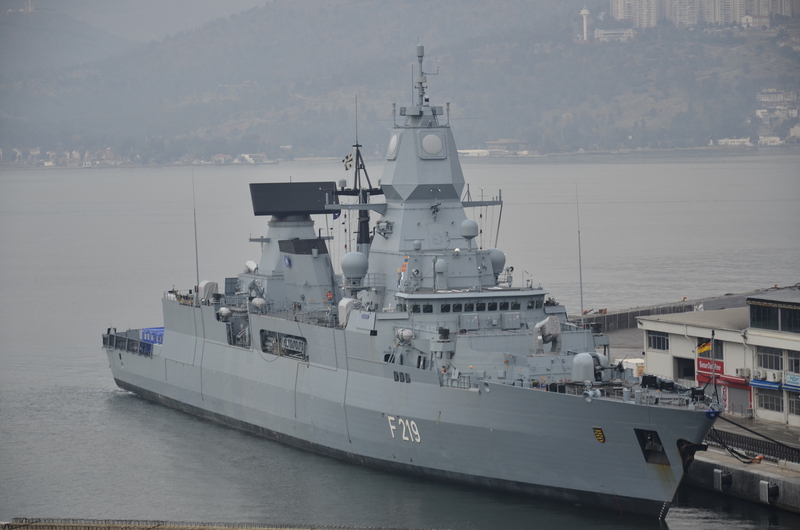 December 2016 and frigate FGS Sachsen has replaced Dutch warship HNLMS De Ruyter as the flagship of the task force. HMCS St John’s is enroute to join force. THESE NATO SHIPS ARE THE STATE OF THE ART IN SHIP CONSTRUCTION.